We've written about BVD swimwear, ok we always write about swimwear. 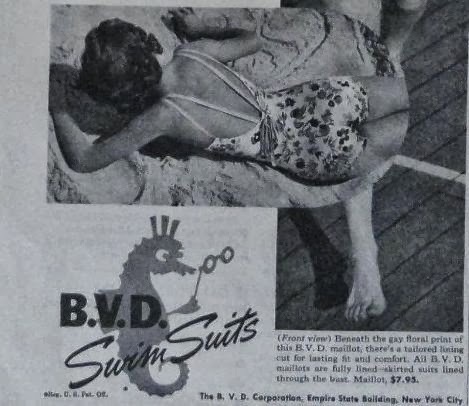 Today we take a closer look at bathing suits from BVD. 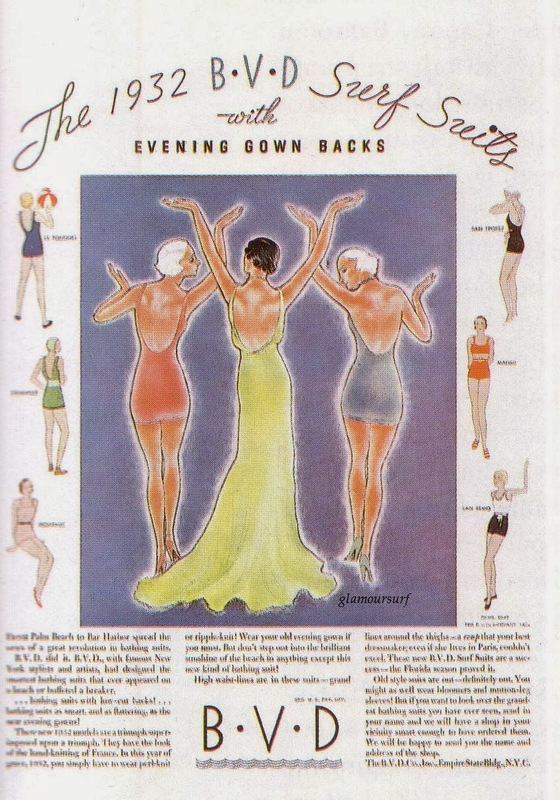 This ad features Surf Suits from BVD in 1932, how clever, modeling bathing suits after evening gowns and marketing by a new name. A partial snippet of the above 1932 BVD ad. 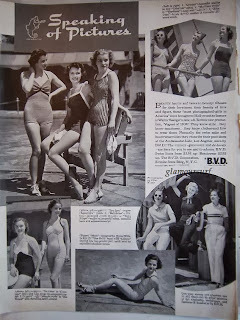 From Palm Beach to Bar Harbor spread the news of a great revolution in bathing suits. BVD did it. 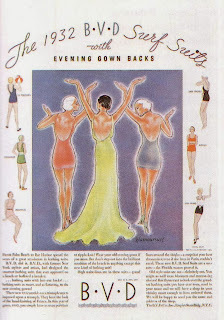 Low cut backs, bathing suits as smart and as flattering as the latest evening gowns. Pearl knit or ripple-knit, high waist and grand lines around the thighs. 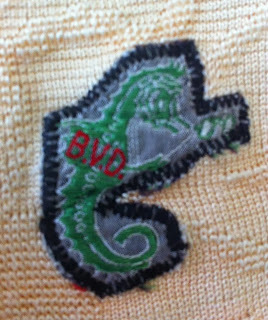 I love the BVD logo, a little seahorse with glasses! 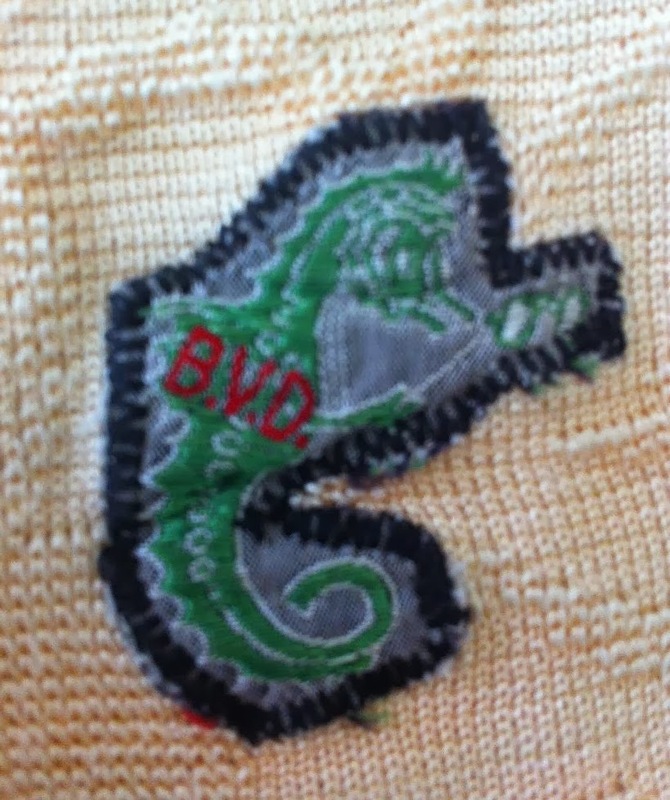 BVD stands for Bradley, Voorhees & Day, the founders names. They were the first company to produce bustles for women. 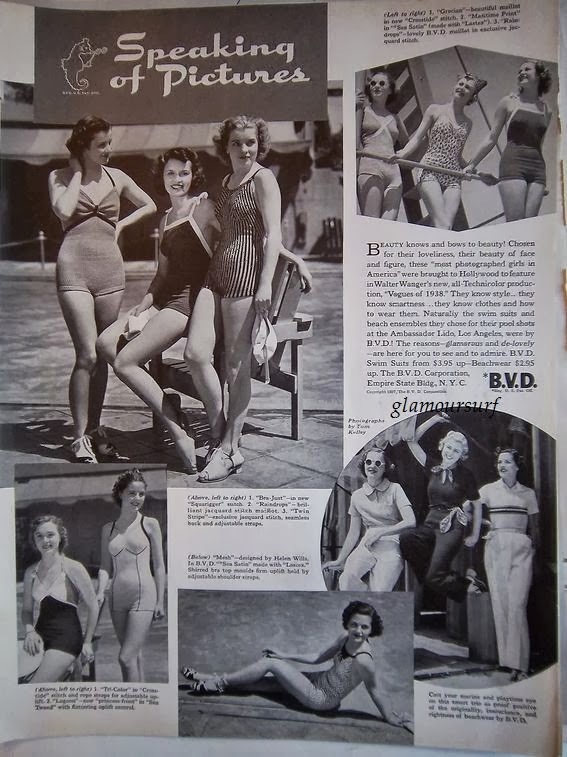 Over the course of the years women's items were introduced, swimwear being one of them. Unfortunately today, only men's items are being produced from BVD which is now owned by Fruit of the Loom.